I got a question from one of my Youtube viewers, and got this same question before several times. The question is “When do we use ฟัง/fang/ and ได้ยิน/dâi-yin/ ? Do you what to listen to music? 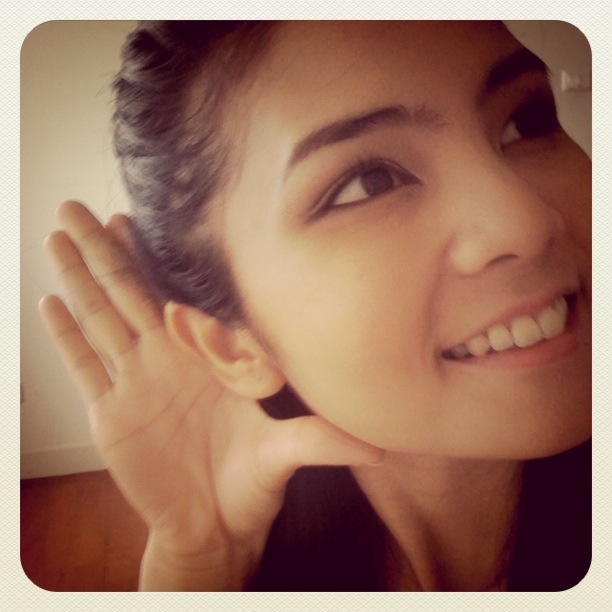 We use เข้าหู /kâo-hŭu/ to convey the meaning of hearing something bad or negative. Example: เรื่องที่เขามีชู้เข้าหูภรรยาของเขาแล้ว /rûeang tîi káo mii chúu kâo-hŭu pan-rá-yaa kŏrng káo láew/ His wife already heard about him having an affair. Example: เค้าพูดไม่เข้าหูก็เลยถูกชกหน้า /káo pûud mâi kâo-hŭu gâw-loei tùuk chók nâa/ He had a bad mouth so he was punched in the face. Thai people also say พูดให้เข้าหูหน่อย /pûud hâi kâo-hŭu nòi/ to convey the meaning ‘speak nicely’, or it would be ‘don’t be bad mouth’. Thanks for your clarifications, I really appreciate that. I was looking at a Thai-Eng dictionary and I only found the rising tone for “chan”. So now I learn something from you. And yes, it should’ve been Khru Mod. Her videos are really awesome. Thanks again! Shouldn’t it be ฉัน instead? 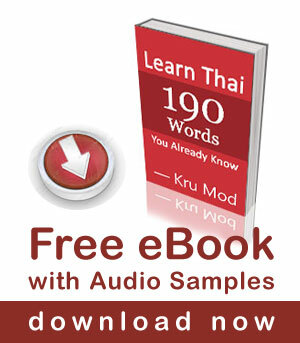 I am new to Thai language and am confused here. Would I be right in thinking kao huu applies to khan huu!? Thanks for the listen tips. it means like u want somethin’… its like sayin “yak geb teu wai tung song kon”, i want to keep both. other similar options include dtong, dtong gahn… sorry for my ignorance(if there are any) regards.